Schlagfix Vegan Creamer Pods give you a new way to enjoy your coffee and other hot beverages with these convenient on-the-go single-serving creamer pods! Imported from the UK, you can use them just like those non-vegan creamer pods you remember - just peel back the lid and pour into your hot beverage for a dose of liquid creamy goodness that you're sure to enjoy. 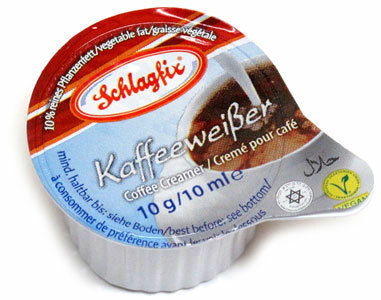 Schlagfix Vegan Creamer Pods are sold in packages of 20 individual pods for $4.99.